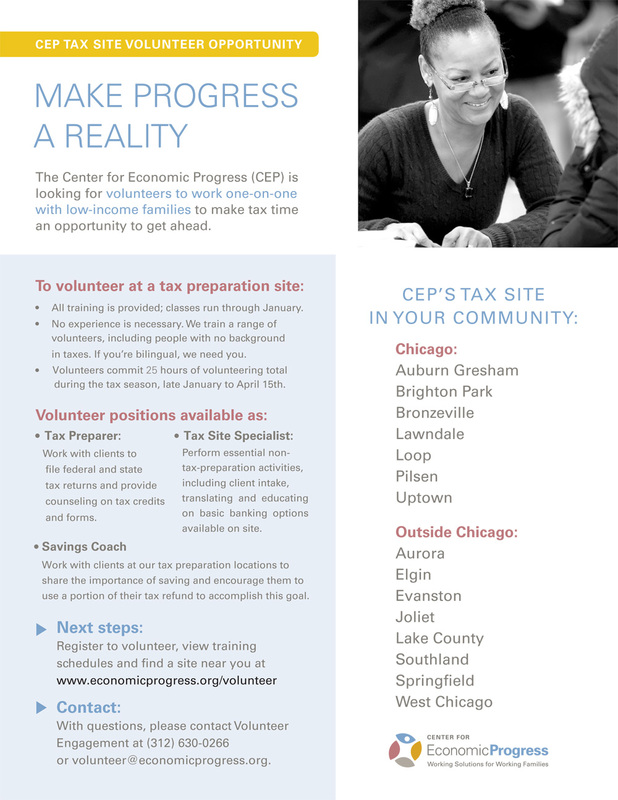 The Center for Economic Progress (CEP) will offer its annual free income tax preparation help to lower-income residents at Truman College. CEP is looking for volunteers who can help. If you have the time to help, you are needed! Applications for Tax Representatives are accepted on a rolling basis.